The Adobe Summit 2019 is upon us. For all us Marketo Summit aficionados, this experience is brand new. Do we rock the red or pump out the purple? Or maybe a little of both. In reality, this is the biggest marketing event ever so there are a lot of firsts happening here. This is our fifth year in a row putting together this mega 3,500+ word guide for all our loyal readers. 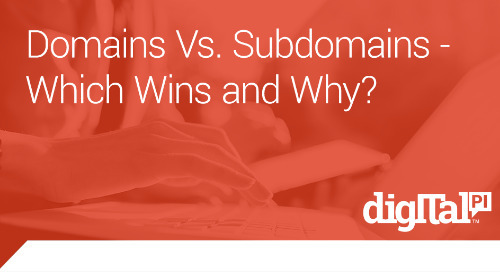 Start your Adobe Summit research here! For this year, we are telling the Adobe Summit story through the lens of the Marketo community. If you are a Marketo Summit veteran or someone just interested in Marketo, this is the guide for you. We have spent 30+ hours compiling videos and content so you don’t have to–plus, the team loves do it. 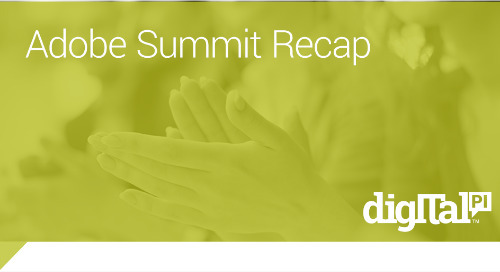 Approximately 15,000 marketers are expected to attend Adobe Summit. Our guess is around 3,000 of them will have Marketo in their blood. Use this guide to figure out which sessions to attend, where to get the best SWAG and which parties to get your groove on! This year’s theme is Engagement so bring your A-game to the event. We will update as needed with official and unofficial tips. If you have a tip, send an email to olivia@digitalpi.com. This is a living blog post. Make sure to bookmark this page as we will update it as more information becomes available. 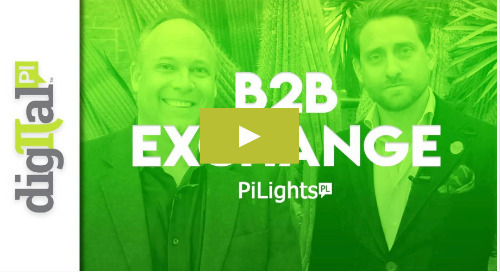 "This is the largest marketing event in HISTORY. " Vegas, baby! What's There to Do? Last year, over 6,000 professionals attended the Marketo Summit in San Francisco. Of course, that was in the pre-Adobe days. The 2019 edition of the Marketo Summit was supposed to happen in Las Vegas in November. However, Adobe decided to bring the Marketo and Adobe events into a single event in March 2019. The announcement came in early January 2019 which accelerated the planning for both potential attendees and sponsors. Got it? The end result: A four-day event is happening in Las Vegas, March 25-28, 2019. 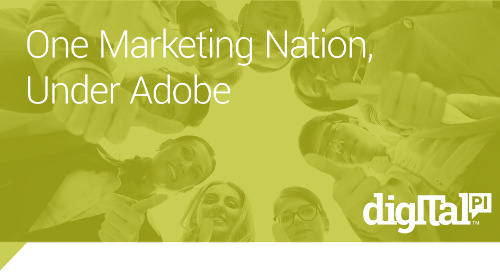 The event will include plenty of Adobe and Marketo-focused content. The Adobe Summit 2019 is like a wedding where two families get together for the first time. For us Marketo lovers, we are sitting on the Marketo side of the church and the Adobe family is sitting on the other. The Adobe Summit is where both families will come together. Who is attending? When are you attending? We were interested ourselves so we ran a survey. 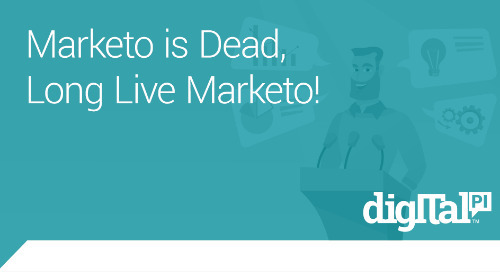 To summarize, most Marketo customers are still attending. See the full results. We have seen numerous comments from people that they care more about Marketo than Adobe (more on that in the sessions section). That's a completely fair assessment but think of it this way--both skill sets will be needed for the future. For Marketo customers, the Marketo sessions will show you how to do your job today. 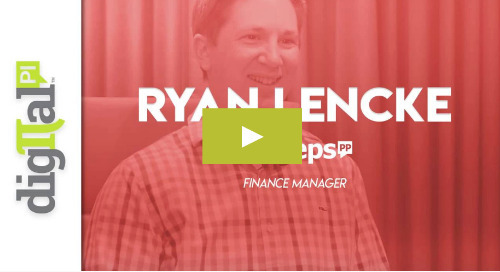 The Adobe sessions will open your eyes on how to excel at your job in the future. Uber and Lyft is the way to get around in Las Vegas! Depending on which option you choose, you can ride from the airport to the Venetian for around $20 in an Uber. Take Uberpool and save more. When you get to Vegas (LAS), there are different ride sharing areas to grab your Uber/Lyft after leaving the terminal. I messed this up last time I traveled to Vegas so keep this map in mind as you exit the terminal--go to the parking garage, NOT curbside. Above is sample pricing. Subject to change. Don't have a hotel yet? As of this writing in early March, the official Venetian/Encore/Wynn hotels were booked or running crazy money ($600+). At under $100, another great option is the LINQ which is located next door to the sponsored hotels. The LINQ is where the Digital Pi team is staying so make sure to say hello if you see us around the lobby. Plus, that is where we will hold our Digital Pi Top Tips sessions. Which Adobe Summit 2019 Sessions to Attend? The Adobe Summit is a fantastic opportunity to meet many like-minded marketing professionals and learn new things. If you come out of the event with three actionable items that you can implement, that’s a big win. In past years at the Marketo Summit, the number of Marketo specific sessions ran 100+. This year, that number is cut significantly as there are only 38 Marketo specific sessions from which to choose. Although there are fewer Marketo-focused sessions, the quality has gone up to focus on what the Marketo nation loves most--expert sessions by the Marketo Champions and advocates. Overall, there are 300+ Adobe sessions so you'll have a great mix of Marketo and Adobe content. 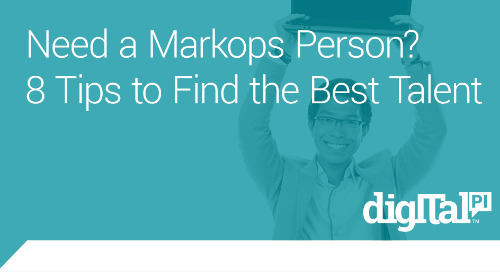 In past years, Marketo recorded them all so you can catch up on the ones you missed. Three Tips: Where do you start? Planning in advance is key. 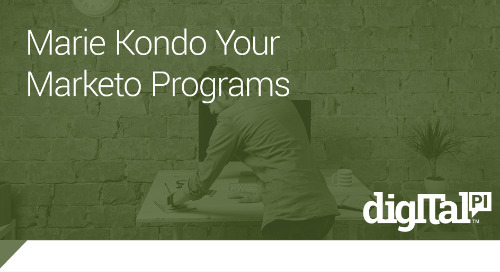 In past years, we'd say to prioritize the sessions given by the Marketo Champions. This year, most sessions are given by Marketo Champions so that bar is already raised significantly. Focus on Thursday Marketing Nation Day. Thursday is Marketo Nation day when 22 of 38 sessions will happen. Sharpen your Marketo focus on this day to pick the sessions that matter most. Mix in Adobe content. There are literally hundreds of sessions that you can choose from. Marketo sessions will help you do your job today but knowing Adobe will help you get a leg up on the future. Get a Little Extra Marketo Perspective--Top Tips Sessions. 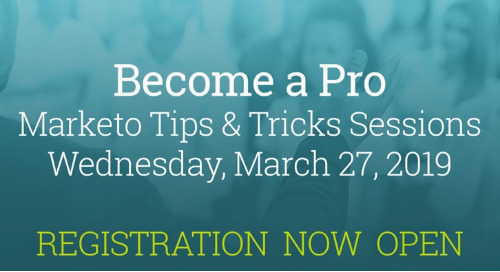 Digital Pi is offering four rapid-fire Marketo Tips sessions to complement the Adobe Summit on Wednesday, March 27, 2019. With only four Marketo specific sessions scheduled at Adobe Summit for Wednesday, these extra top tips sessions will provide you with a little extra Marketo insights. Register here. 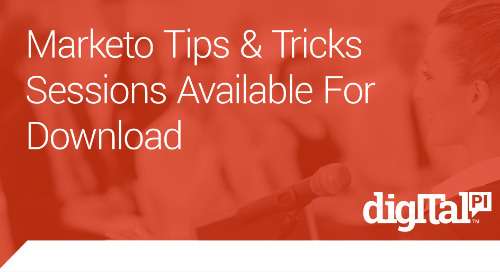 Tip: Use this Marketo Session Link to quickly find Marketo-specific sessions. Looking to get out on the dance floor and show off you moves? Welcome to the city of entertainment! 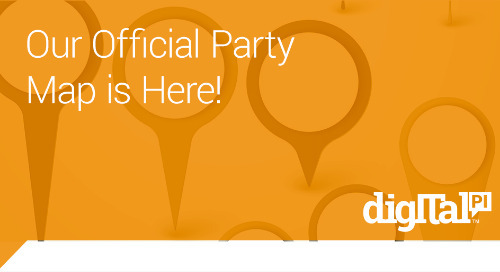 Look for a party map shortly to help get to all of the best parties around. Rock out to the tunes of The Killers or get your party golfing on. 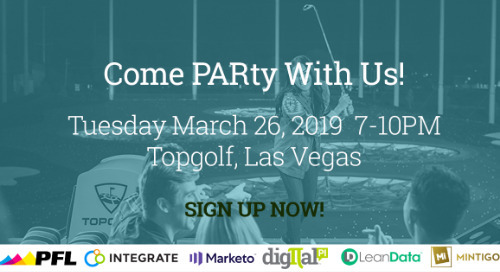 If you are a Marketo aficionado, don't miss the Digital Pi sponsored PARty at Topgolf--all your Marketo friends will be there. If you see a party missing, send Olivia van der Meer an email. We’ll update ’em as we get ’em. Register: No registration required. Conference pass required. Why is this featured? Well, we’re helping throw this party in this unique venue. 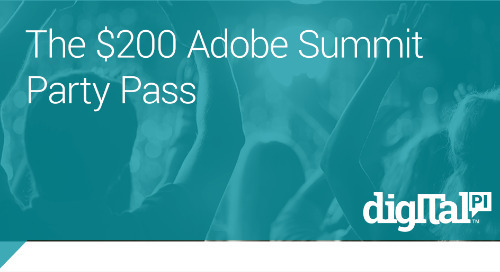 From the sponsors that brought you the infamous Ice Party, Tiki Bar Experience, and the Speakeasy Experience, this PARty is sure to be an epic Adobe Summit 2019 sequel! If you want to get your PARty on with other Marketo users and customers, this is the party for you. What: Enjoy craps, blackjack, roulette and poker tables where you can play for awesome prizes. What: The signature Summit party. Where: T-Mobile Arena, 3780 S Las Vegas Blvd, Las Vegas. Free transportation will be provided via bus from the Sands Expo, Wynn and Treasure Island. To make the most of your experience, download the official Adobe Summit 2019 mobile app today! Just search in your device’s app store for Adobe Summit 2019. Or visit this Adobe page for more information. With the Adobe Summit App, you can also participate in the Adobe Summit sponsor game. Much like a scavenger hunt, stop by vendor booths for your chance to win one of three $250 Amazon gift cards daily. Get more info on the game. Get the Adobe Summit 2019 app in three simple steps. Once downloaded, you'll need the password you created when you signed up for the Adobe Summit. Tip: We recommend choosing your sessions in advance on your desktop/laptop--you'll have much better search filters for finding the sessions you want. Or, simply use the search term "Marketo" in the app. Want to book your sessions now? Register Here (where you registered for Summit) and choose your breakouts. The number of different passes you can purchase can get a bit confusing, but we will make it real simple--buy the Marketo rate pass. It's less than the rate for group passes, military passes and alien passes (making sure you are paying attention). Make your life simple. Buy the Marketo discounted pass for $1,195 via the Marketo discount page. Tip: Save $700. Don't buy the pass on the Adobe site for $1,895. Instead purchase for $1,195 via Marketing Nation page on the Marketing Nation site. I am bringing my significant other. Can I purchase an Adobe Summit pass for after-hours events? Yes. If you are bringing a guest to only evening events, consider the social pass that gets you into the extracurricular activities for $200. The Killers event alone justifies that expense. You can purchase this as part of your overall pass purchase. Are there special discount codes for Adobe Summit 2019? From what we have seen, there are no great Adobe Summit discount codes like in year's past. The best deal we have seen is $1,137 and that is for sponsors who can purchase a select number of passes at that rate. Sorry, Digital Pi has maxed out that number. If you know of any better codes, let us know. Can I buy a ticket for the Marketo day only? Sadly not. 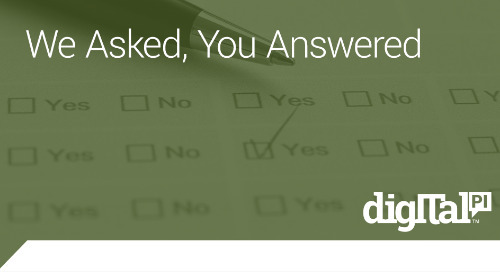 We asked numerous times as that was a popular request with our clients. Fortunately, Marketo will be intertwined throughout the entire Adobe Summit. And if you need more tips and tricks sessions, attend the Marketo sessions sponsored by Digital Pi and other partners--at no cost. In past years, Marketo made keynote/expo hall passes available for $99 at Marketo Summits. Don't shoot the messenger--from what we have seen, these will not be available in 2019 at the Adobe Summit. If you are sitting at the table at lunch or waiting in line for a drink, make connections and ask questions. I find I make the best connections in the most unexpected locations. What is the big thing you are looking to learn this year? How is your company measuring success? Have you had much success with [feature you want to learn about]? Everybody loves SWAG. Due to popular demand, we’ve brought back the SWAG section to this year’s post. Want to know what cool swag is out there? We’re finding the coolest prizes and giveaways for you to get your SWAG on. We expect this list to grow as more vendors submit their prizes. 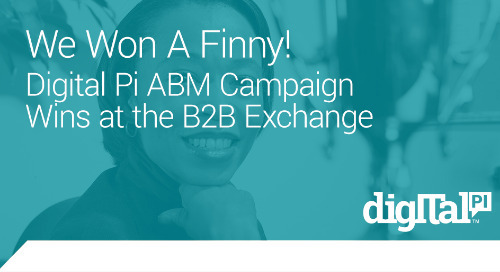 If you know of any great giveaways and swag, email olivia@digitalpi.com so she can add to the list. Which vendor has the best SWAG? We will post as vendors let us know. If you have to stop by the booth, the listing falls here. Otherwise, check out Other Contests below. If you are looking for a deeper dive into Marketo training, spend a day at the University Day during the Preconference training, Monday, March 25th for $695. Experienced Track: 1 year or more of hands-on Marketo experience. All you need is a charged laptop, pen and paper to follow along with exercises and electronic materials. If you want a good seat for the keynote, make sure to get to the auditorium at least 30 minutes before. Otherwise, you could find yourself standing. Overall, who is speaking at the Adobe Summit 2019? From the celebrity side of things, Reese Witherspoon and Drew Brees will be speaking as keynotes this year. But are you ready for some good laughs with Mindy Kaling? If you've ever seen "The Office," you'll want to come and be front and center for the live action from "Kelly" and her hilarious state of being. On the business side of things, the usual suspects of Marketo speakers will take the stage. Inspirational and informative speakers, Shantanu Narayen (President and CEO/Adobe) and Satya Nadella (CEO/Microsoft) will get out on the floor. Steve Lucas (CEO Marketo) will talk about driving business impact through digital experiences. Meet our Team in Vegas! The Digital Pi team will be available to answer any questions at the kiosk. Booth #: 187-E in the back left corner of the exhibition hall. Located in the Marketing Nation area at the back of the exhibition area. 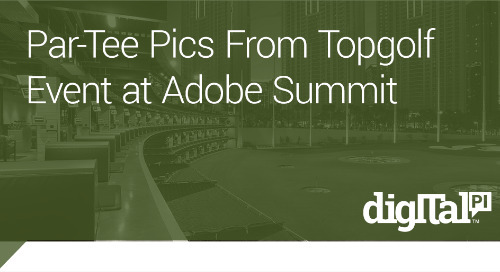 In addition to our own Top Tips sessions, see our team present at the Adobe Summit sessions. Come PARty with us at Topgolf on Tuesday, March 26th! Register for this epic event where you can take swings, enjoy food, and sip cocktails alongside Digital Pi and our partners. Remember tickets are free but are limited, don't miss out! Putt it on your calendar! On March 27th, Digital Pi is co-hosting workshops at the LINQ Hotel. 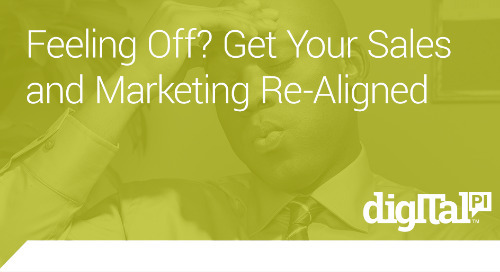 Looking for more Marketo tips and tricks? We've got you covered in these rapid-fire sessions designed to help you operate Marketo like a pro. This is a free event but you must register in advance as space is limited. Sponsored by Digital Pi, Integrate, LeanData, PFL and Mintigo. What’s a trip to Las Vegas without living up to the expectations of "What happens in Vegas, stays in Vegas." Getting out and about is essential to seeing what this city has to offer. Dining, exploring, sight-seeing, gambling - Las Vegas has it all! No need to Google Search "things to do in Vegas," we've got you covered. Need a haircut or last-minute shopping for the Summit? Head down to the famous strip, the most obvious place to shop. From designer to bargain counters, the vast majority of things to buy in Vegas are found here. If you're looking to get artsy, South of Downtown Las Vegas is the city's profound Arts District, 18b. Here, there are 18 featured blocks of up and coming art studios and galleries where you can buy the art right off the walls. You're in Las Vegas, but what about a night in Paris? Check out the Eiffel Tower Restaurant at Paris Las Vegas for a special occasion with Panoramic views, looking past the city lights at the Mojave desert or step up to the edge for aerial views of the Bellagio Fountains, the glowing High Roller and Sin City's unforgettable downtown. Make a Reservation here. 1. Stay cool--don't underestimate the Vegas heat. Check Groupon-- there are frequent new promos on last minute shows and more! When the Marketo Summit was rolled into the Adobe Summit, that sent a lot of traditional sponsors scurrying wondering how the sponsorships would work (with 60 days to plan). Many of the traditional Marketo Summit sponsors bypassed this year's event while others (like Digital Pi) continued the tradition. Digital Pi will also have a booth so stop on by to say hello. Tip: To find your traditional Marketo sponsors, beeline to the back left of the expo hall at the Venetian. Also, there is no expo hall at the Wynn on Marketo Day (Thursday) so the best time to visit vendors is Tuesday or Wednesday of Adobe Summit week. We will add to the list as new articles are written. Email olivia@digitalpi.com if you see any we missed! Jeff Coveney is an accomplished marketing expert with more than 25 years success in generating demand and creating buzz for leading technology organizations.